Grape color framed dry erase board. 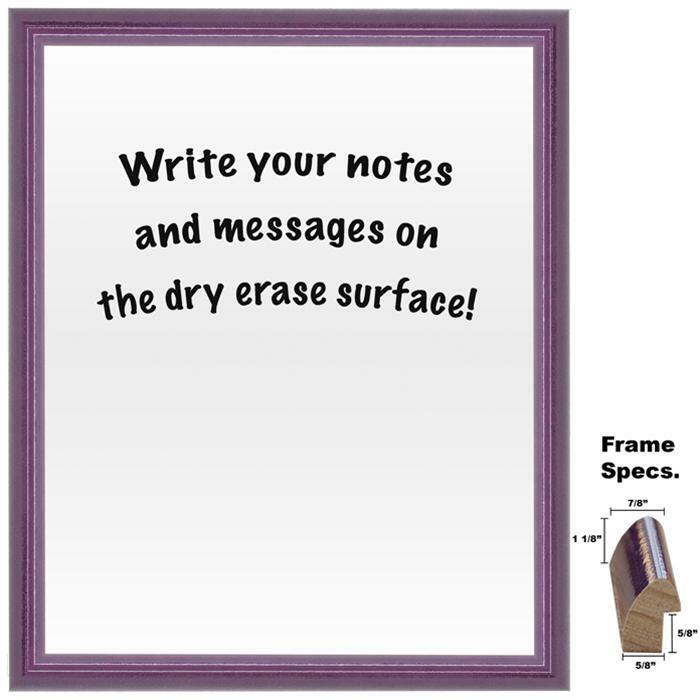 This dry erase board features a high gloss semi textured wood frame. Dry erase surface is made from a hard board and is bright white and long lasting. These are not the cheaply made boards you will find in office supply stores! Sizes listed are for the size of the dry erase surface. For the finished size add on 1 1/4"